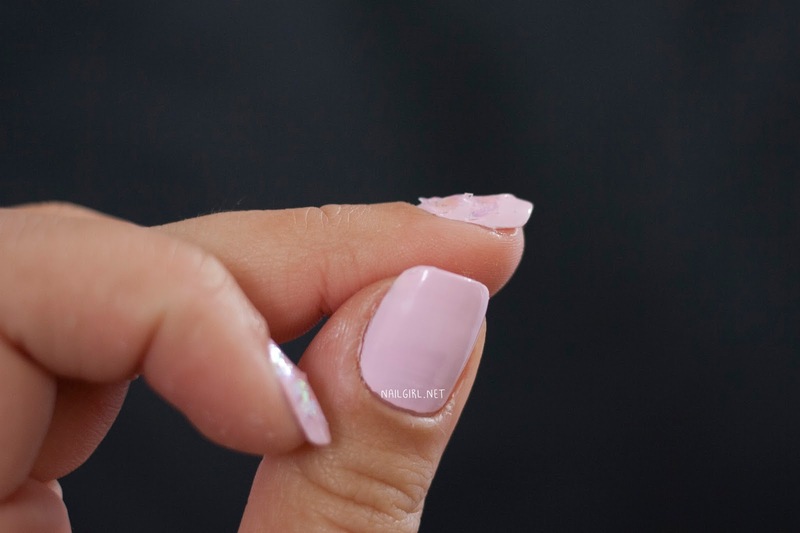 By now, most of you are probably aware of the 'broken glass' nail trend, popularised by Korean nail artist Eun Kyung Park (see her work on Instagram here). I recently received some pre-cut, cellophane shards from Lady Queen Beauty to review, and I thought I would try my hand using them to create a broken glass mani of my own. I used the color #60 over OPI Mod About You. However, I found this technique really difficult to master, and I am fairly sure it has to do with the quality of the cellophane and the fact that I am not using gel polish. The cellophane was roughly chopped and there were pieces of straight up regular plastic inside the small jar. You can tell by the length of my nails that I actually did these some time ago, and was hesitant to upload them because they were such a disappointment. However, it's really important to me as a blogger that good and bad reviews appear on my blog - if everything is amazing, what's the point in reviewing? 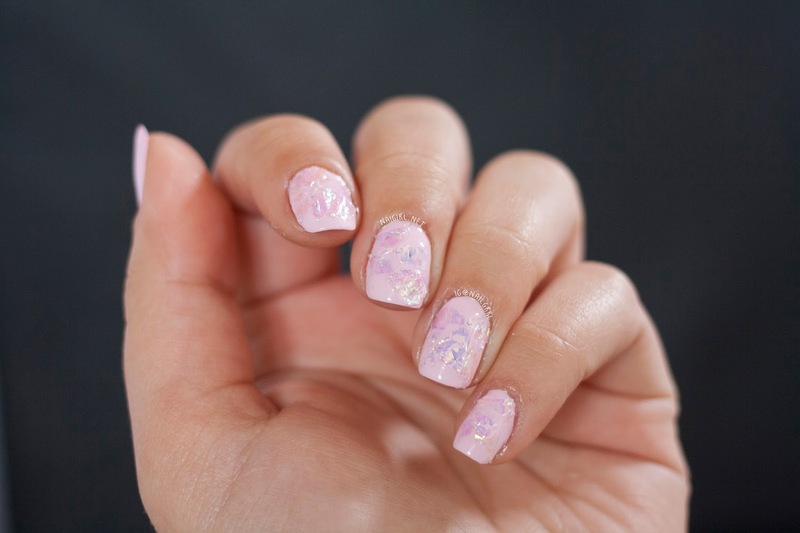 I attempted to do this in two ways - the first, I would apply the cellophane to nail polish that was still slightly wet and sticky on my nail. This didn't work for multiple reasons; firstly, the polish was too wet for me to press down firmly enough for the cellophane to stick. Due to being chopped and crammed into a small container, the pieces often were bent and stuck out at odd angles. This made it quite difficult to stick down to a flat surface. Secondly, the pieces of cellophane tended to lift up the wet polish and leave bare patches of nail. So I attempted my next technique - applying the cellophane to fully dry nails, using topcoat as 'glue' to hold it down. This worked quite well until it came time to top coat. I always top coat nail art to achieve a smooth, glassy finish but for some reason, the more I topcoated, the more the cellophane lifted and curled. While still ethereal and mostly alright to look at in photos, the fact that the cellophane wouldn't lay flat was a massive deal breaker for me. I can't stand to have anything sticking out on my nails, and I removed these shortly after taking these photos. I only recommend these if you are using them under hard gel or acrylic, as regular nail polish isn't enough to smooth it down and give the desired broken glass effect. Don't forget that you can use my code DRLC15 to get 15% off anything from Lady Queen! I do NOT earn any money from using this code. I don't recommend getting this particular product obviously but there are honestly heaps of cool new things being added every day! What's your biggest nail art fail?